Serious injury can come out of any profession or series of habits. There are people injured on the road, at the job, or even practicing their favorite hobbies. When the injury is particularly severe, it can play havoc on people's lives. It can prevent patients from returning to work for weeks on end, or even indefinitely. It can cause serious lifestyle changes and medical bills, some of which can be life-lasting. If you have been injured due to another's negligence, you may be entitled to compensation. The person that drove recklessly, left a slippery floor, or created an unsafe work environment is responsible for your injury and should be treated like it. A skilled legal expert will be able to determine how to prove this in a court of law and get a jury to give you the compensation that you deserve. Even better they be able to force an out of court settlement to spare you the hassle of litigation. Reach out to someone that can assist you from day one until the case is settled in your favor. Cincinnati Police Department-- Get any records needed for a court case. 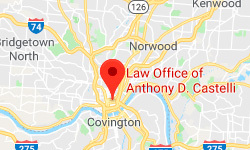 Hamilton County Municipal Court-- Including the city of Cincinnati-- find out information about upcoming court appearances or other legal information. Hamilton County BMV -- Find your driver's abstract or other important facts about driving on Ohio's roads. Agriculture is a key part of Ohio's economy, but is also the site of multiple injuries and fatalities each year. According to the Ohio Department of Public Safety there were over 20 deaths per 100,000 agricultural workers and over 6 injuries per 100 workers. Ohio University's research shows how even young athletes face injuries each year. Legal Assistance Seeking justice in the aftermath of an accident is made up of several parts. Of course there is the matter of getting back on your feet, both literally and metaphorically. Making sure that you are able to physically recover from your accident is the top priority, especially if it means that you miss work. Next is to make up for any lost earnings that this mishap may have caused. This could include confronting insurance companies, your employer, or the reckless party that caused the injury to make sure that you are able to provide for your family. Next there is an obligation to prevent a future incident like the one you suffered. This means that the precedent that you set could cause other negligent parties to think twice before acting recklessly, sparing others from similar injuries. 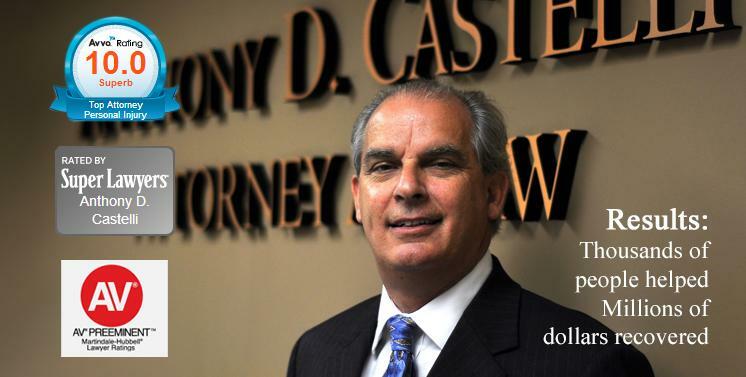 Anthony's years of experience and hundreds of successful cases have made him a well-respected attorney both to his colleagues and opponents. Let his gravitas and record speak for you. He will be able to track down the resources and challenge the irresponsible and seek to get the most for you. His no-recover, no-fee pledge in most cases means that you have little to risk, but much to build back when you place your trust in Anthony.